Our first park in China was a late addition to the trip, added after the closure of Chengdu Amusement Park. Unfortunately neither of its two roller coasters was operational today; the Revolving Pulley apparently due to rain; the other due to it not being fully built yet. Our intrepid organisers did their best to get us our credit on the former, but to no avail; though the park told us the ride would open later if it didn't rain they apparently changed their minds. Having said that, a return visit at some point in the next few days is not beyond the bounds of possibility; time will tell. The highlight of the park for me was a real life ice slide, my first opportunity to experience at least an approximation of the famous ancestor of the roller coaster. The ride in question was pretty short but thrilling all the same, with single seater cars taking about fifteen seconds to cover a roughly U-shaped course. 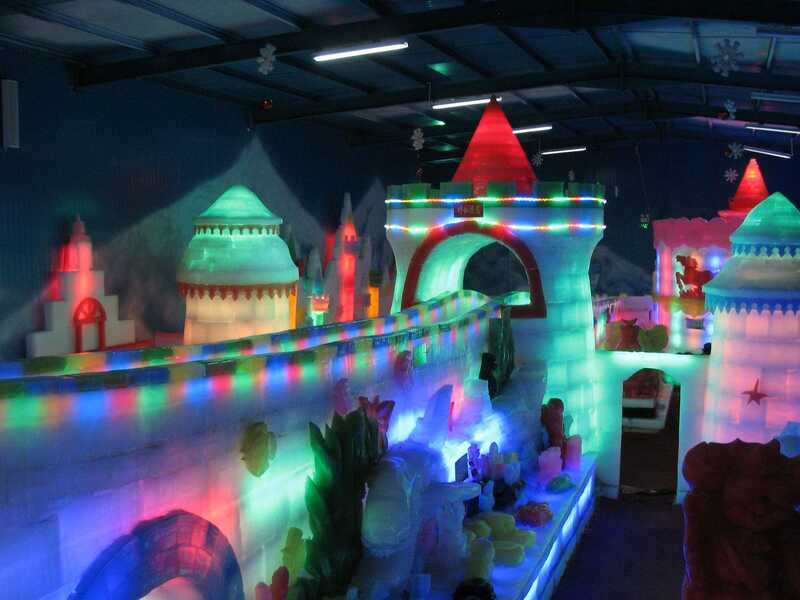 This ride was the highlight of an indoor ice house that was lit with bright multicoloured lights that go particularly well with the red thermal coats guests are given to wear! The park is home to a unique and particularly frightening Tagada, in this case one with extremely low seats and a ban on holding on to the bars. The effects were predictable, with people sliding in all directions; the requirement to remove shoes and any breakable objects was with good reason! Most of our group staged a takeover on the ride, and while it was great fun I'm actually sorry that I took part, as it would have been hilarious to watch! The only other ride of interest that I tried was the Dark Ride, an utterly pointless upcharge attraction. This was theoretically a target shooter, but there were only a handful of targets to hit, and in most cases the guns did not actually work. The only slight novelty was the cars completing two full circuits of the course, but to be honest I'd have been as happy with one.